Not too astonishingly, there just hasn’t been much evidence that cancer can prevented with supplements. Prostate cancer and fish oil? May actually increase risk, but generally no effect. Prostate cancer and soy? Nothing there either. Folic acid and cancer? May actually increase risk. The number of supplements that have failed, in clinical trials or epidemiological studies, to show any evidence of efficacy in preventing cancer is fairly large. Vitamin E and selenium. Beta-carotene, alpha-tocopherol or retinol actually increase lung cancer, squamous cell skin cancer, non-melanoma skin cancers, and prostate cancer risks by significant levels. 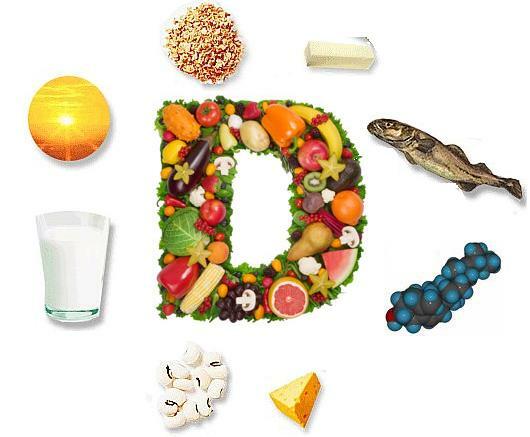 Recently, scientists have focused on vitamin D supplementation and breast cancer prevention. Researchers, in a meta-review of two studies involving thousands of women, have found evidence that vitamin D supplements do not help prevent breast cancer. The authors conclude that “based on our results and limited trial evidence, vit D supplementation seems not to be associated with a reduced risk of breast cancer development in postmenopausal women.” The participants in the studies were randomly assigned to take Vitamin D or a placebo. The larger study enrolled 5,292 women, and the smaller one included 1,180 women. In the larger study, individuals were given either 800 IU of vitamin D3, 1000 milligrams of calcium, both supplements or a placebo for 24 to 62 months. For the second study, participants were given either placebos or 1,400 to 1,500 milligrams of calcium and 1,000 IU of vitamin D3. Even though the size of the two studies were large, and the results were statistically significant there are a couple of issues: first, the length of the studies were around 5 years, which may not be long enough for significant results. However, if vitamin D were to have an effect, there would be evidence that showed a small response early, as one would expect a curve that showed early results. Also, some individuals in the alternative medicine world have complained that there wasn’t sufficient levels of Vitamin D given to the participants. But once again, if there were some sort of dose-response, we would have seen some effect, especially given the power of the study with so many participants. The thing is that this isn’t the first report that vitamin D has no effect on breast cancer. Obviously, cancer is a scary disease, mainly because we can’t control it. We don’t want to hear that it may be genetic. Or random. Or completely unpreventable. But don’t fall for the scam of buying supplements in the hope that your risk will be reduced. It probably will have no effect on your risk. Godtfredsen NS, Prescott E, Osler M. Effect of smoking reduction on lung cancer risk. JAMA. 2005 Sep 28;294(12):1505-10. PubMed PMID: 16189363. Ledesma MC, Jung-Hynes B, Schmit TL, Kumar R, Mukhtar H, Ahmad N. Selenium and vitamin E for prostate cancer: post-SELECT (Selenium and Vitamin E Cancer Prevention Trial) status. Mol Med. 2011 Jan-Feb;17(1-2):134-43. doi: 10.2119/molmed.2010.00136. Epub 2010 Sep 21. Review. PubMed PMID: 20882260; PubMed Central PMCID: PMC3022975. Martínez ME, Jacobs ET, Baron JA, Marshall JR, Byers T. Dietary supplements and cancer prevention: balancing potential benefits against proven harms. J Natl Cancer Inst. 2012 May 16;104(10):732-9. doi: 10.1093/jnci/djs195. Epub 2012 Apr 25. PubMed PMID: 22534785; PubMed Central PMCID: PMC3352833. Sperati F, Vici P, Maugeri-Saccà M, Stranges S, Santesso N, Mariani L, Giordano A, Sergi D, Pizzuti L, Di Lauro L, Montella M, Crispo A, Mottolese M, Barba M. Vitamin d supplementation and breast cancer prevention: a systematic review and meta-analysis of randomized clinical trials. PLoS One. 2013 Jul 22;8(7):e69269. doi: 10.1371/journal.pone.0069269. Print 2013. PubMed PMID: 23894438; PubMed Central PMCID: PMC3718745. Torfadottir JE, Valdimarsdottir UA, Mucci LA, Kasperzyk JL, Fall K, Tryggvadottir L, Aspelund T, Olafsson O, Harris TB, Jonsson E, Tulinius H, Gudnason V, Adami HO, Stampfer M, Steingrimsdottir L. Consumption of fish products across the lifespan and prostate cancer risk. PLoS One. 2013 Apr 17;8(4):e59799. doi: 10.1371/journal.pone.0059799. Print 2013. PubMed PMID: 23613715; PubMed Central PMCID: PMC3629172. Vollset SE, Clarke R, Lewington S, Ebbing M, Halsey J, Lonn E, Armitage J, Manson JE, Hankey GJ, Spence JD, Galan P, Bønaa KH, Jamison R, Gaziano JM, Guarino P, Baron JA, Logan RF, Giovannucci EL, den Heijer M, Ueland PM, Bennett D, Collins R, Peto R; B-Vitamin Treatment Trialists’ Collaboration. Effects of folic acid supplementation on overall and site-specific cancer incidence during the randomised trials: meta-analyses of data on 50,000 individuals. Lancet. 2013 Mar 23;381(9871):1029-36. PubMed PMID: 23352552. Previous PostPrevious Antievolution legislation update–2013 review. And we love Kansas.